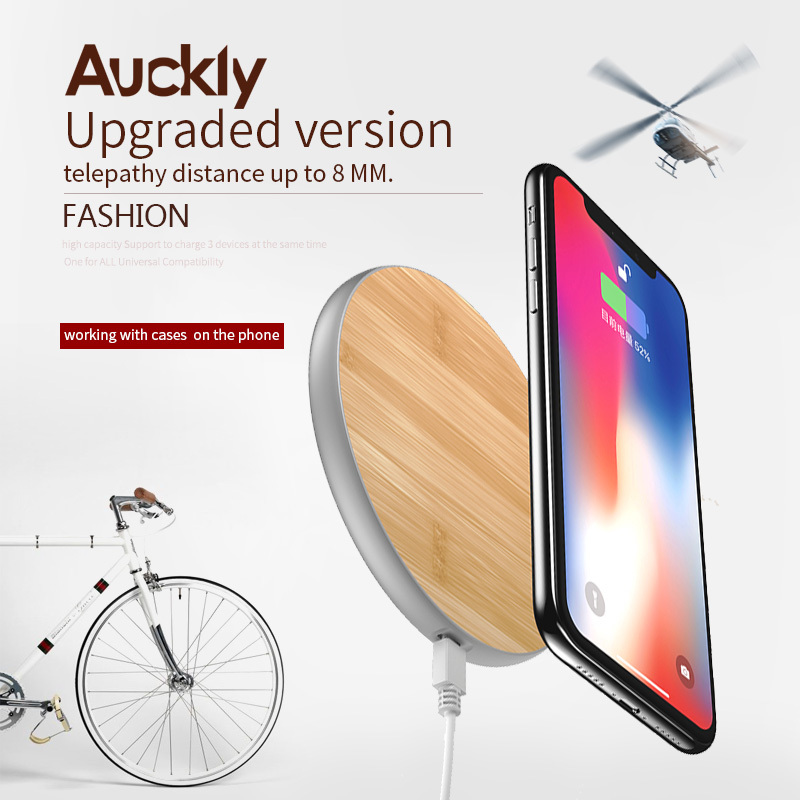 Wise Choice - Natural bamboo surface and premium aluminum alloy back cover, as well as simple design style, exquisite detail, all reveal a kind of enchanting charm from inside to outside. 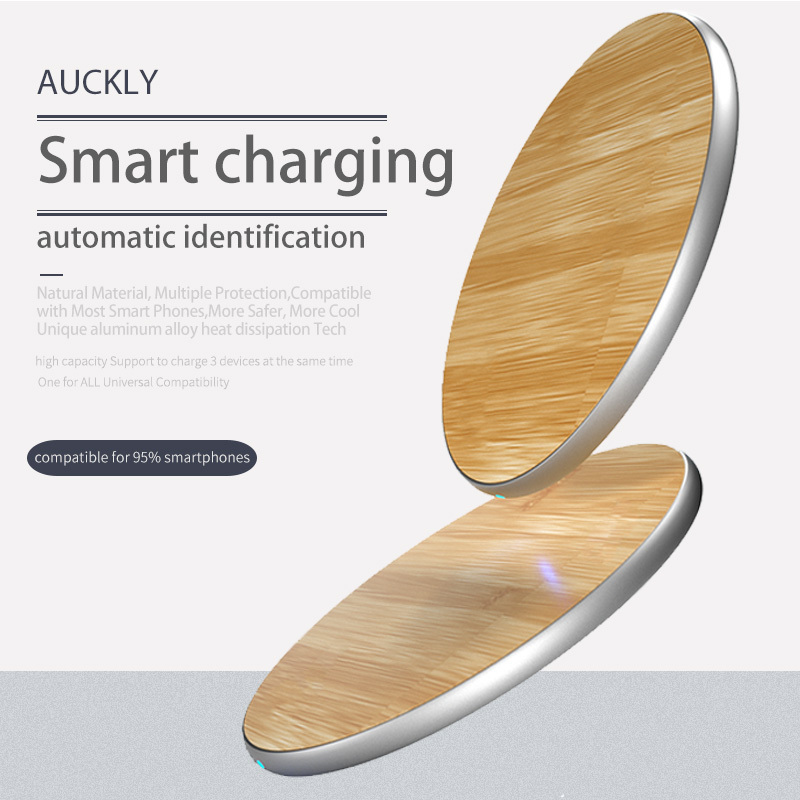 Fast Charge Modes: Fast Wireless Charging（1.4 times faster than standard wireless charger pad）are ONLY available for the for samsung Galaxy Note 8, Note 5, Galaxy S6 Edge+, Galaxy S7, S7 Edge, S8, S8 Plus models. Other devices will charge at regular speed. 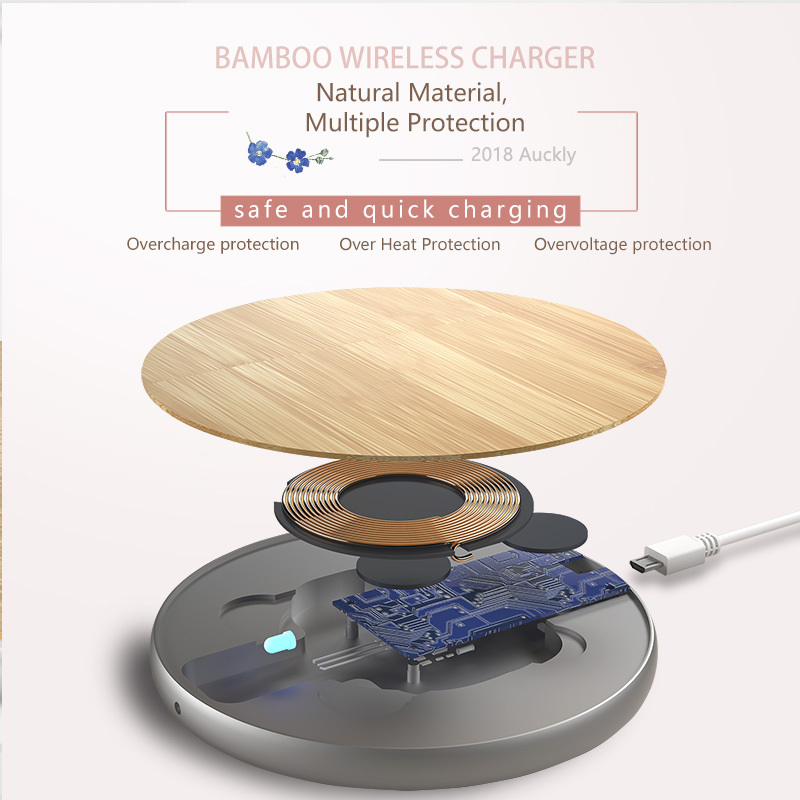 Built-in Protection system-- With the built-in over-voltage, under-voltage, temperature control, surge protection and short-circuit prevention features, which effectively protects your device and the charger itself. 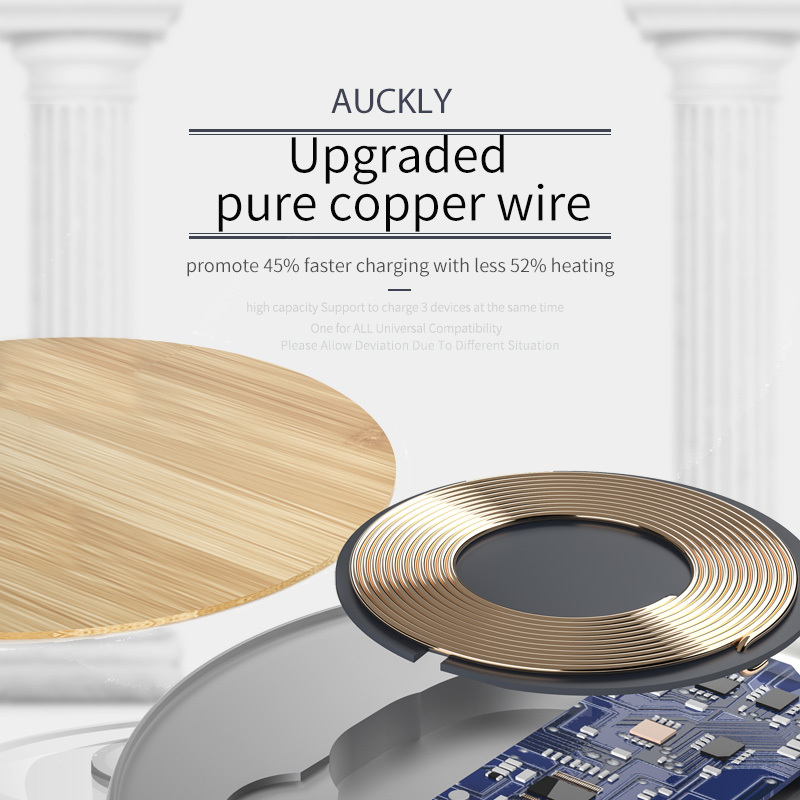 Hassle-Free Wireless Charging: Avoid cable tangles and connection hassles, keep your desktop neat. 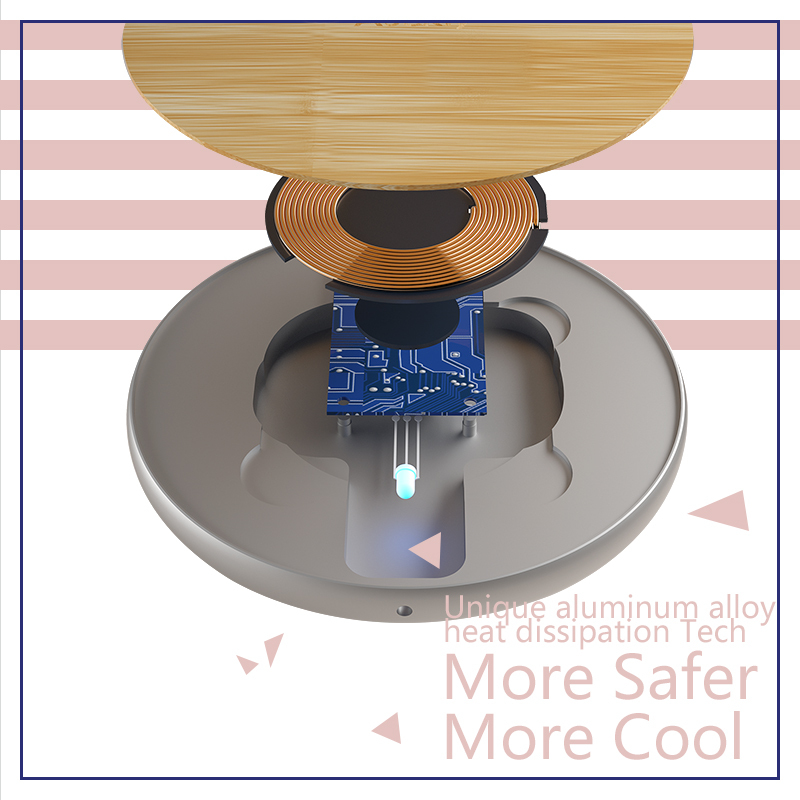 Anti-slip pad can prevent surfaces well from friction and scratches.